Yes, ladies and gentlemen, it’s finally happening: the first Flexible LG OLED display to be showcased at CES 2016 is truly an outstanding example of technology. After multiple, meek attempts at curved screen technology that has been more or less successfully employed by a number of tech and gadgets manufacturers comes the big breakthrough. If you think that the curved television sets and computer monitors that made their way into markets a while ago were only suggesting that flexible screens are still a long way to go, prepare to be amazed. Scheduled to be presented and offered a hands-on experience at this year’s Consumer Electronics Show that starts tomorrow, the flexible, rollable display is barely receiving the excitement it deserves at this point. We’re saying rollable because the company claims that the material that it’s made of is so soft and malleable that you could easily roll up such a display like you would a newspaper. So what kind of prospect does such a flexible piece of gadgetry hold in the near future of scientific and technological development? One can play at the idea in a variety of directions. 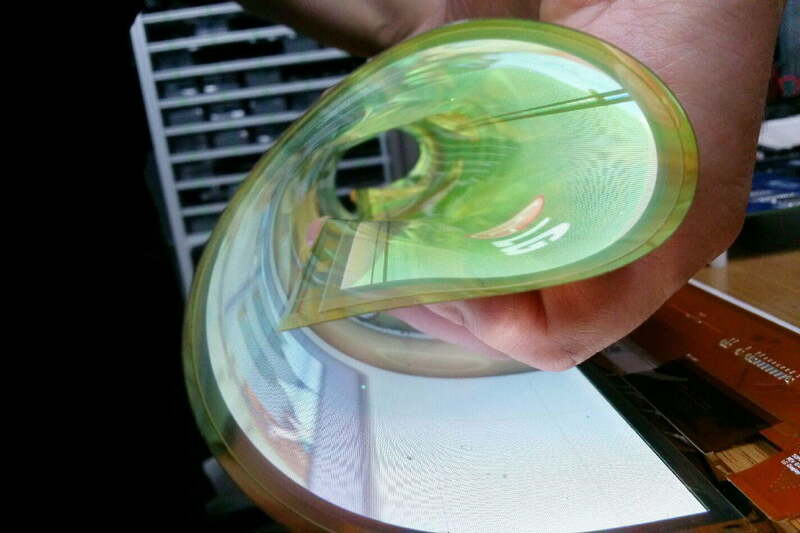 One of the core features of a flexible display would be its amazing portability potential. And with portability comes a great number of options. It could be used to serve as an innovation in what tablets and smartphones are concerned. Take the recently leaked patent that Samsung filed for a foldable smartphone as your best example. Perhaps it could completely change the way we see laptops or portable computers in general. Let our imaginations wander and take it up a notch with innovative billboards and next level advertising. The display that’s ready to be showcased starting tomorrow at CES 2016 is, however, only an 18-inch version that has a resolution of 1200 x 810 pixels. But it has been made possible by the use of a high molecular polymide film in order to build its back, not only allowing for ample and flexible movements to be made by it, but also reducing its overall thickness. So we won’t only be looking at a display that can literally roll up, but also one that is light and thin. As for future plans, both LG and Samsung seem to be particularly bent on what the former calls “Art Slim”. In an attempt to reduce the size and power consumptions of the electronics of today, LG will also be showcasing a design concept of thin television displays that does not use circuits and promises to use 35% less power than a regular TV of the same size. Following the presentation at CES 2016 later this week, LG claims that they will most likely be able to launch a much larger, 60-inch variant of the flexible display by the year 2017.